Setup Solutions Software Recommendation and Resources Setup Solutions offers assistance and recommendations regarding programs and software for home, home office or for small business use. Many of the resources are provided FREE by the manufacturer and others are proven products that are affordably priced. I will be posting opinion reviews based on my experience. Don’t have antivirus? 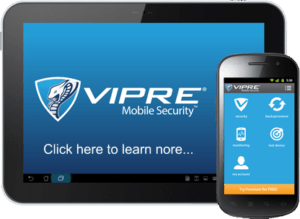 I use and recommend Vipre Antivirus products by ThreatTrack Security, Inc., located here in the states…Clearwater, Florida.